Lowland rain and mountain snow return to Western Washington to end the week. The North Sound is still recovering from the Solstice storm two weeks ago that left destruction in its wake. King tides, which are extremely high tides, are predicted Puget Sound area during the week of Christmas. King tides occur when the Earth, moon, and sun are aligned. 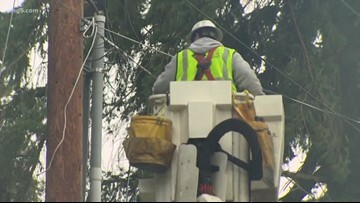 Roofs were ripped off several homes Tuesday when a tornado touched down in Kitsap County. Hundreds of homes may have been damaged. 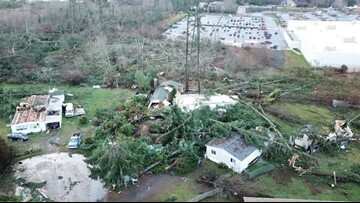 Courtney Obergfell, senior meteorologist with the National Weather Service in Seattle, said thunderstorms were in the forecast for that area Tuesday afternoon, but tornadoes are hard to predict and hard to forecast. 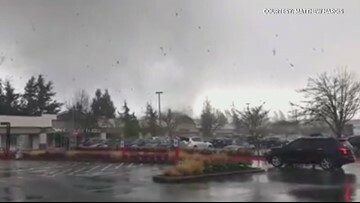 Viewers shared video of a tornado touching down in Port Orchard Tuesday afternoon. 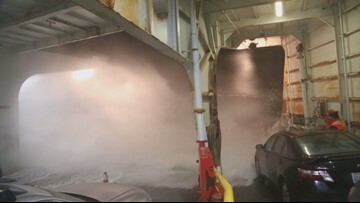 Video captured waves crashing onto the deck of the Kingston – Edmonds ferry during Friday’s windstorm. 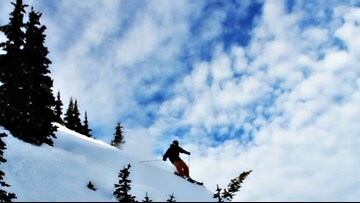 Several ski areas are opening for the first time this weekend. 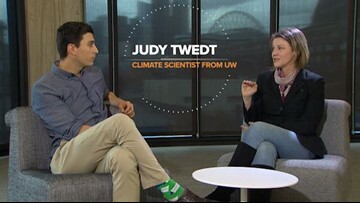 A Seattle scientist turned carbon dioxide measurements into an audio recording to show the growth of carbon dioxide in our atmosphere. 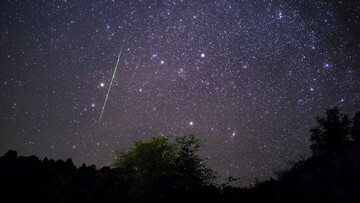 The weekend before Thanksgiving will bring one of the last major meteor shows of the year. 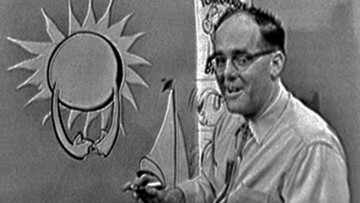 KING 5 Weather started with cartooning, but it has evolved into science and powerful computers. 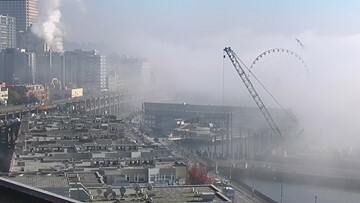 Seattle hit a record high of 61 degrees on Monday, breaking the record set in 1953. 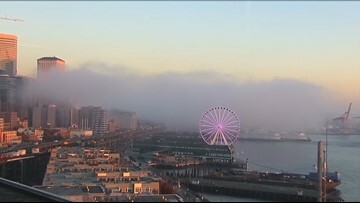 This weekend was especially foggy in areas around Puget Sound. But over in the foothills and mountain communities, there was plenty of sunshine. As our unusually high temperatures continue this week, a "blob" of warm water has been spotted in the Pacific Ocean. 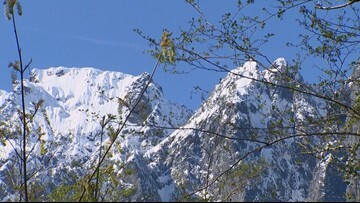 There may have been a dusting of snow in the mountains Tuesday night, but the Climate Prediction Center says we still have at least a 65 percent chance for an El Nino winter. 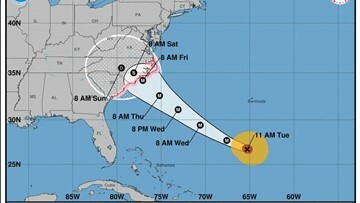 At least "some" planes from Boeing's South Carolina facility are heading to Puget Sound head of Hurricane Florence, a company spokesperson confirmed Tuesday. The Washington state climatologist explains what an El Nino winter could look like for the Pacific Northwest. 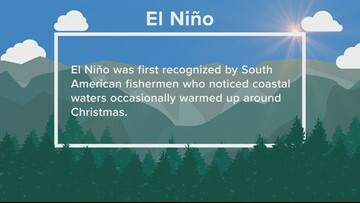 El Niño is a phenomenon that's associated with warmer than normal sea surface temperatures in the Tropical Pacific. 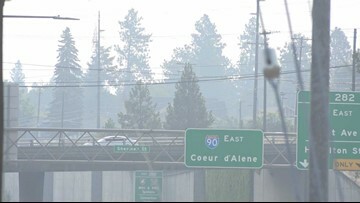 WSP Trooper Jeff Sevigney said people should use headlights when visibility is reduced due to wildfire smoke. 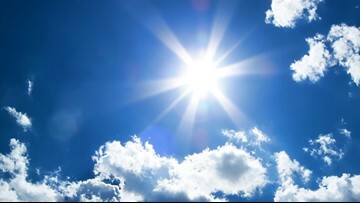 If you cannot see at least 1,000 feet in front of your car, you need to turn on your headlights. 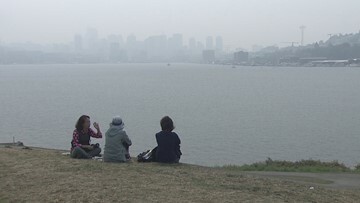 Here's how to get real-time updates on the air quality in your neighborhood. 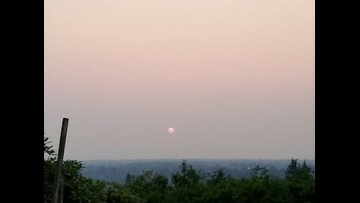 Unhealthy air from wildfire smoke is expected to gradually improve Thursday as onshore winds increase and push clean Pacific air into the area. 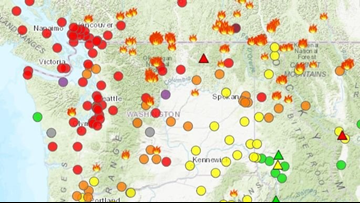 Seattle's air quality index is 152, which is unhealthy. 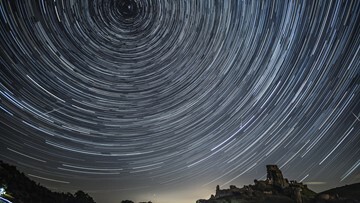 The best meteor shower of the year should peak this Saturday and Sunday nights! And the weather may cooperate. 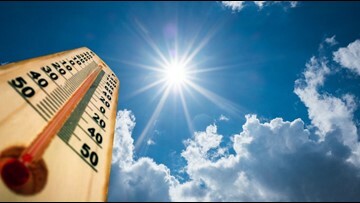 Seattle set a new record of 93 degrees on July 15, but when will Western Washington get a break from the heat?